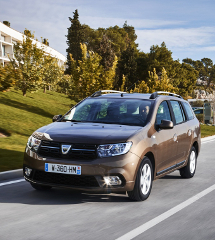 Dacia was there with four new models at the Paris Motor Show, released over the previous three months: New Sandero, Sandero Stepway, Logan and Logan MCV. More than mere facelifts, the new cars boast in-depth redesigns. New exterior features include a new front end (grille, bumper, headlamps) and an original new light signature front and rear. The interior redesign extends to new décors and upholsteries, a brand new four-spoke steering wheel, more accessible controls, new stowage spaces, a reversing camera, and hill-start assist. That’s quite a package! 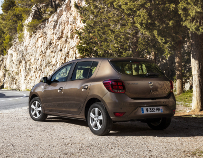 New Sandero, Sandero Stepway, Logan and Logan MCV customers also get a wider choice of powertrains. To start with, there’s the brand new SCe 75 petrol engine: modern, affordable and more economical than ever. 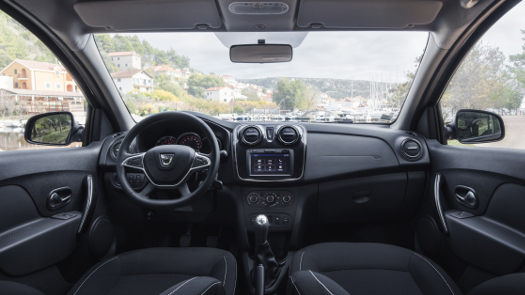 For everyday driving convenience, Dacia offers new driver assistance systems such as reversing camera (on some versions) and hill-start assist. The front and rear electric window controls are located in the door panels, for fingertip access. And one-touch operation proves handy. The driver’s seat has a fold-up armrest (on some versions) bringing improved layout and accessibility for the controls between the two front seats. The eminently spacious cabin gets a wealth of new stowage spaces, for further enhanced functionality: there’s a phone compartment at the side of the passenger seat, a cubby on the side of the console, a new drink holder at the rear of the central console, and a 12-Volt power outlet for rear-seat passengers to charge their mobile devices. 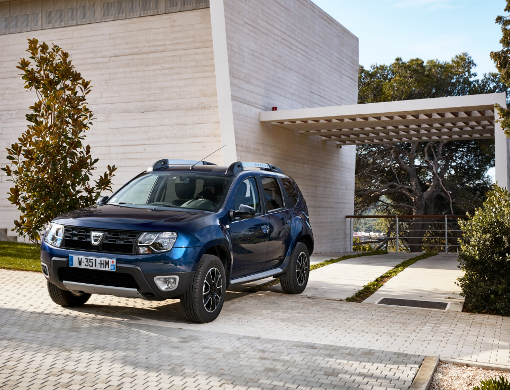 Dacia introduces its first automatic transmission on Duster, in response to recent shifts in customer demand: the market for automatic cars has more than doubled in the last five years, to account for no less than a quarter of vehicle sales. From early 2017 (on some markets), Duster dCi110 4x2 will be available with the EDC transmission, a reliable, tried-and-tested technology that can take a lot of stress out of everyday driving. 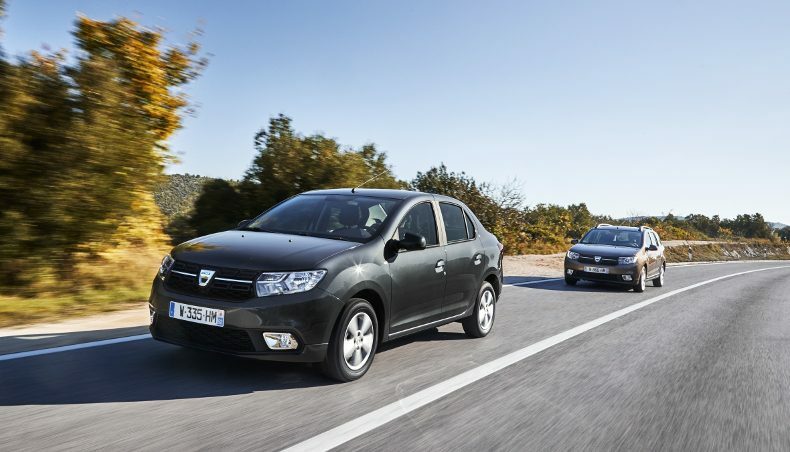 Dacia is the first Groupe Renault make to get the brand new SCe 75 petrol engine. This 1.0-litre, three-cylinder engine, developing 75 bhp and torque of 97 Nm, is available on entry-level Dacias, bringing reductions approaching 10.4% in CO2 emissions and fuel consumption with respect to the previous 75 bhp 1.2 16v unit. 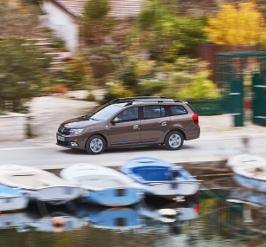 The SCe 75 is a modern, economical and affordable engine that is true the Dacia values and fully compliant with the rigorous quality standards of the Renault-Nissan Alliance. 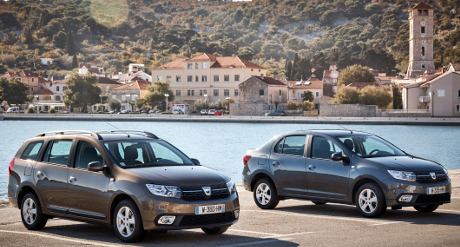 Dacia has developed spectacularly since 2004, carving itself a unique place on the motor market. It today fields a range of seven models made at four production facilities and selling in 44 countries, with sales topping 4 million vehicles worldwide. 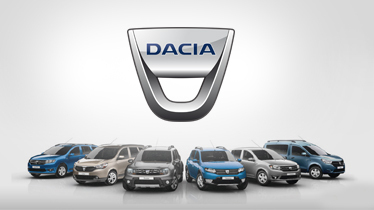 Dacia fans on the social networks total around 3.3 million, forming a highly active community that makes a significant contribution to the brand’s enviable success story.